AUDIO CD! 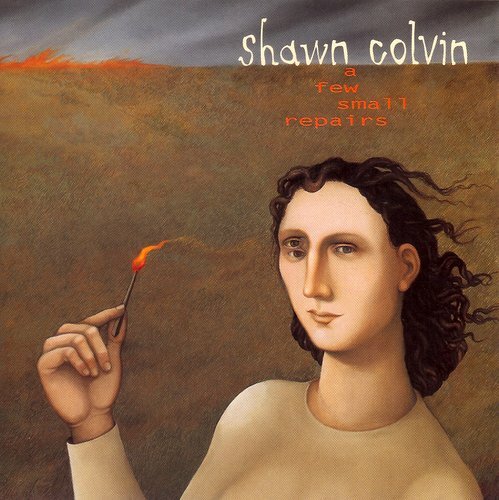 Shawn Colvin: A Few Small Repairs! 1996 Columbia Release! TRACKS: 1. Sunny Came Home; 2. Get out of This House; 3. The Facts About Jimmy; 4. You and the Mona Lisa; 5. Trouble; 6. I Want It Back; 7. If I Were Brave; 8. Wichita Skyline; 9. 84,000 Different Delusions; 10. Suicide Alley; 11. New Thing Now; & 12. Nothin' on Me. If you have any questions about this product by Columbia Records, contact us by completing and submitting the form below. If you are looking for a specif part number, please include it with your message.